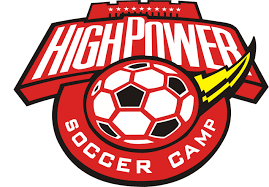 Registration is now available for High Power Soccer! It will be held Monday-Thursday, June 24-27th, from 5:30 - 8:30 p.m. at Faith Community Church! Click on links below to register. High Power Soccer is for those who completed Kindergarten - 12 years old. There is no previous soccer experience necessary and your child will learn from coaches soccer skills, drills, and will participate in soccer games. There will also be songs, skits, Bible stories and a healthy snack each night. The camp runs Monday - Thursday from 5:30 p.m. - 8:30 p.m.. The theme this year is "Team Up". We will be looking at the stories of Jesus as He calls His disciples to be part of His team and learn how we can be a part of His team too! We encourage everyone to register EARLY as our camp fills up fast. If you register by June 14, your child is guaranteed to receive a camper kit (water bottle, soccer ball, and camper booklet). The cost is $10 per child. Please click here to fill out a registration form and click here to fill out a medical release form for EACH child. If you have quetsions or need more information, please call (509) 829-6084 or email our church office.